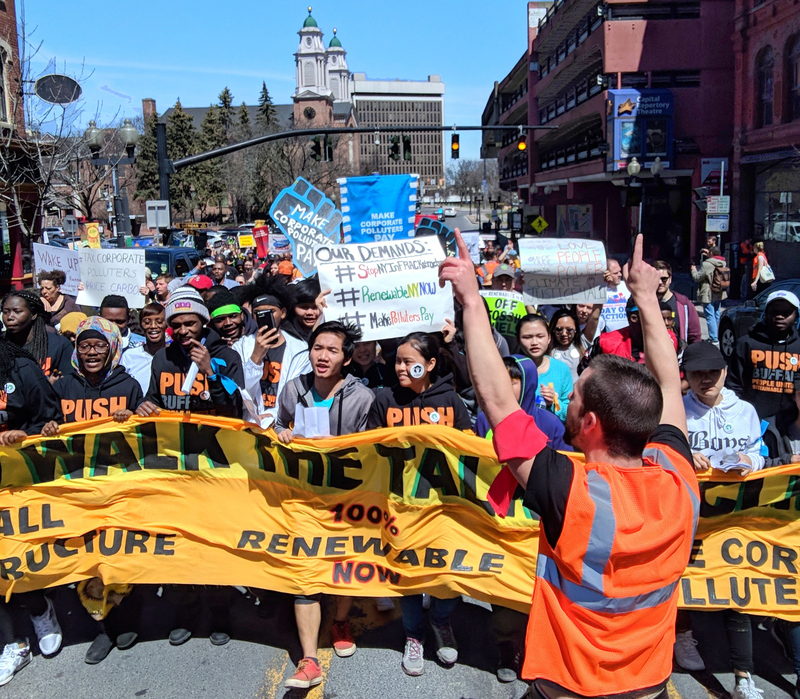 On the morning of April 23rd, I hopped on a bus headed to Albany to join more than 100 groups demanding that Governor Cuomo Walk The Talk and take meaningful action on climate change. 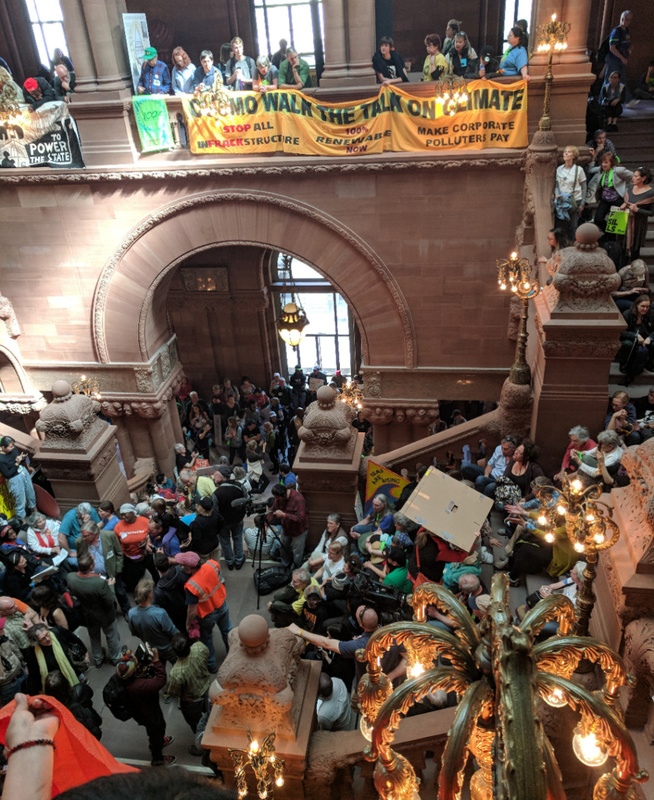 At what was the largest climate rally ever held in the capitol, an array of community, faith, civil rights, and economic and environmental justice groups called on the Governor to stop all fracking activity, commit to moving New York to 100% renewable energy in a rapid and just transition, and make corporations pay for the pollution they dump on New Yorkers, especially in low-income communities and communities of color. 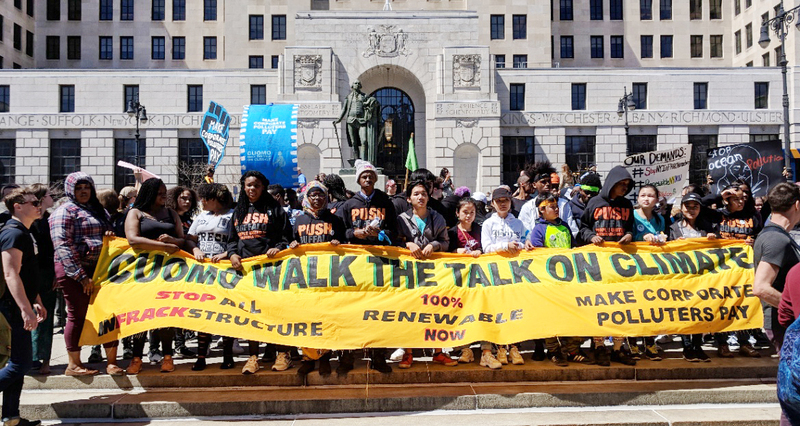 It was powerful to march with people from all different parts of the state and from all different walks of life to shine a spotlight on the urgent need to fight for a just and sustainable future for New York. The people-power and energy embodied by the rally is critical to the ongoing work of building a new economy that works for all New Yorkers. Join the action: Call the Governor and your State Senator today. Urge them to pass the Climate and Community Protection Act, committing New York to 100% renewable energy by 2050.